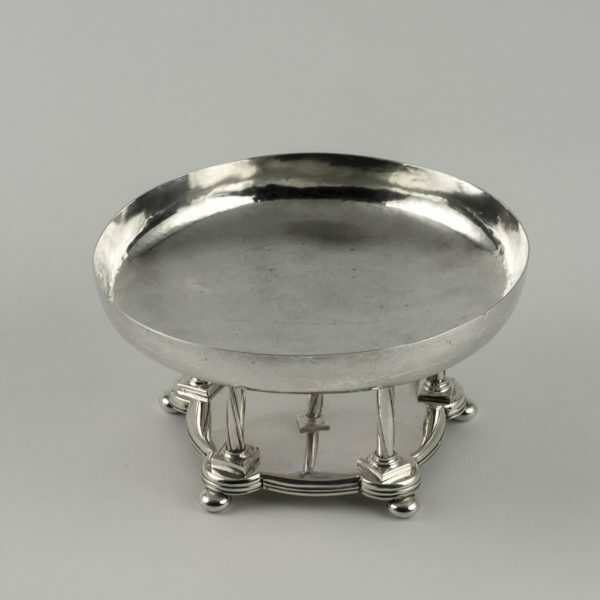 View basket “An arts and crafts silver Mug.” has been added to your basket. 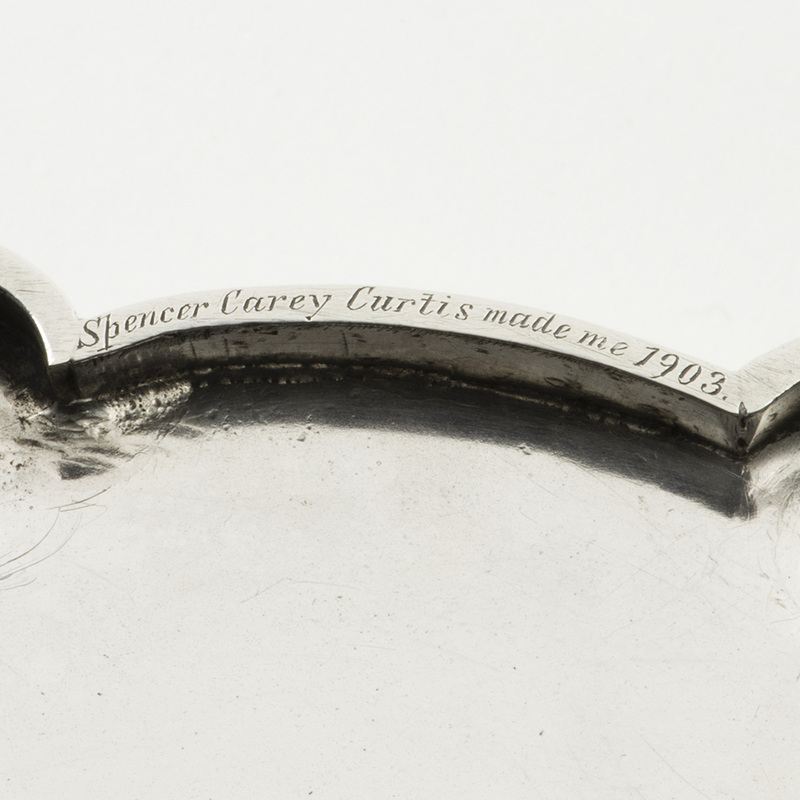 An arts and crafts silver Dish by Spencer Carey Curtis. 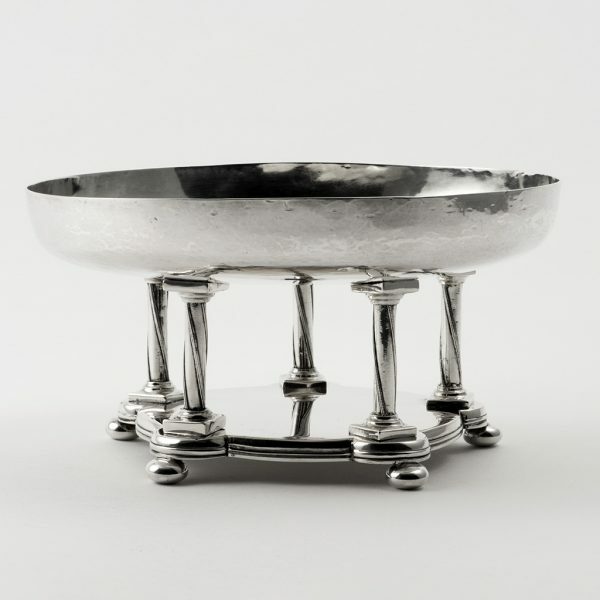 Major Spencer Carey Curtis, 1865-1945, architect, was articled to Henry Wilson, who later became President of the Art Workers’ Guild. 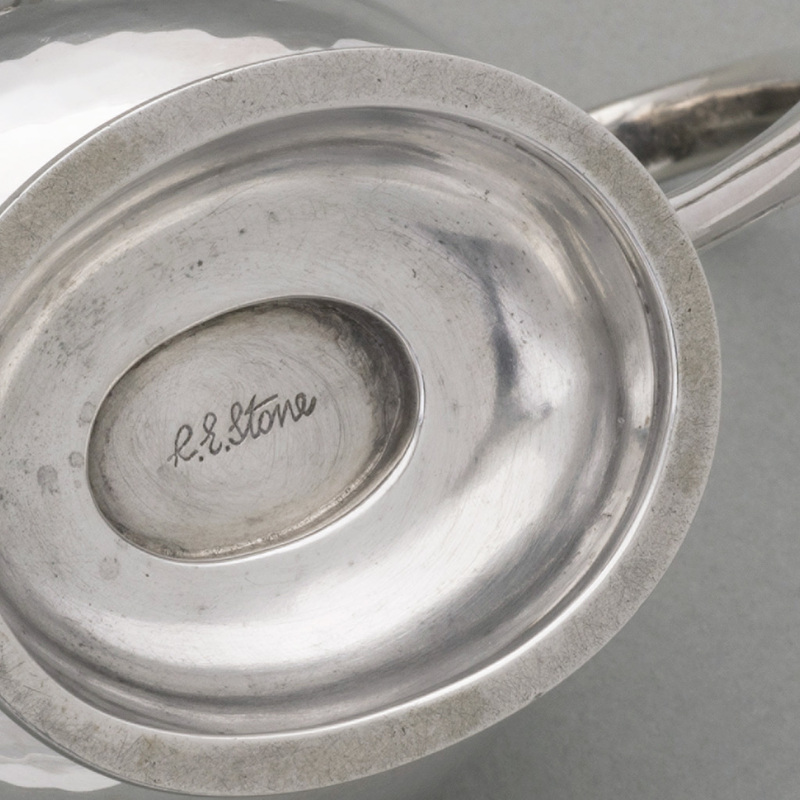 Curtis fought in the Boer War and married the daughter of T.J. Eaton of Cape Province. 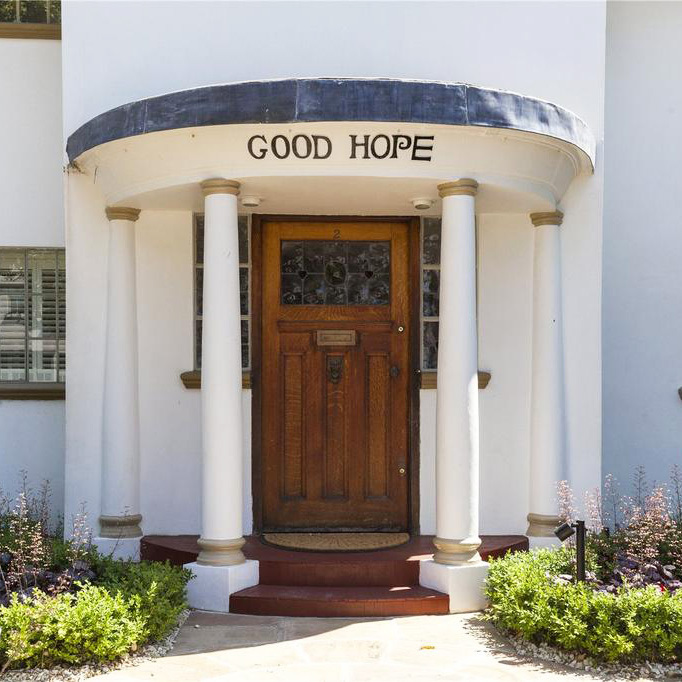 In 1905 he designed ‘Good Hope‘, a house in the ‘Cape Dutch style‘ in Wimbledon for Petrus Cornelius van den Poel Hiddingh and his wife Blanche Esther Nightingale, daughter of the Civil Commissioner of the Cape of Good Hope. 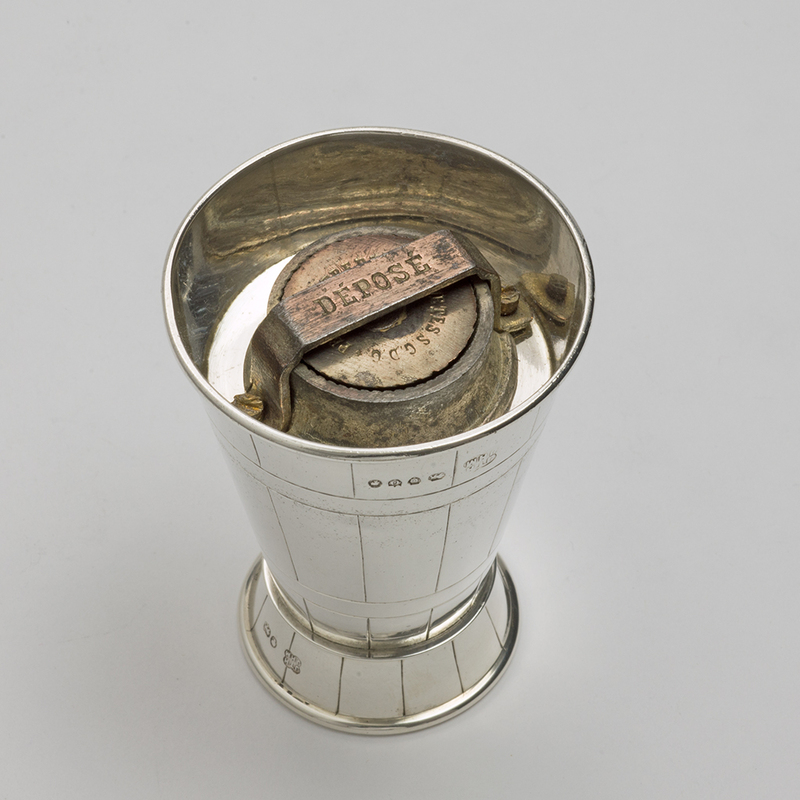 The pillared semi-circular entrance to the house is reminiscent of this tazza. Send Enquiry for An arts and crafts silver Dish by Spencer Carey Curtis. 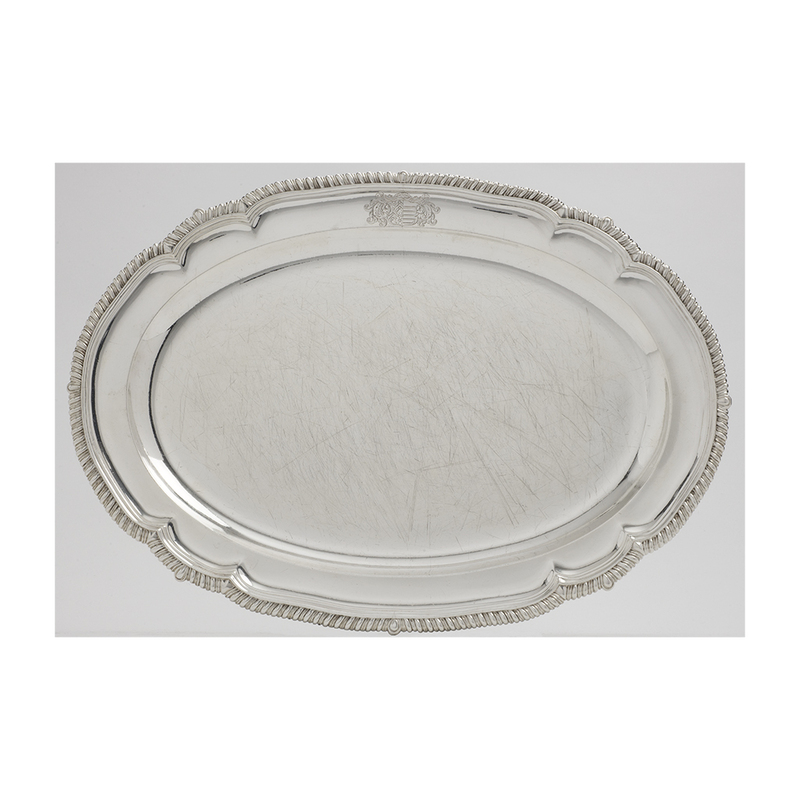 Good with minor surface markings. Height – 9.10 cm. ; Diameter – 18 cm. 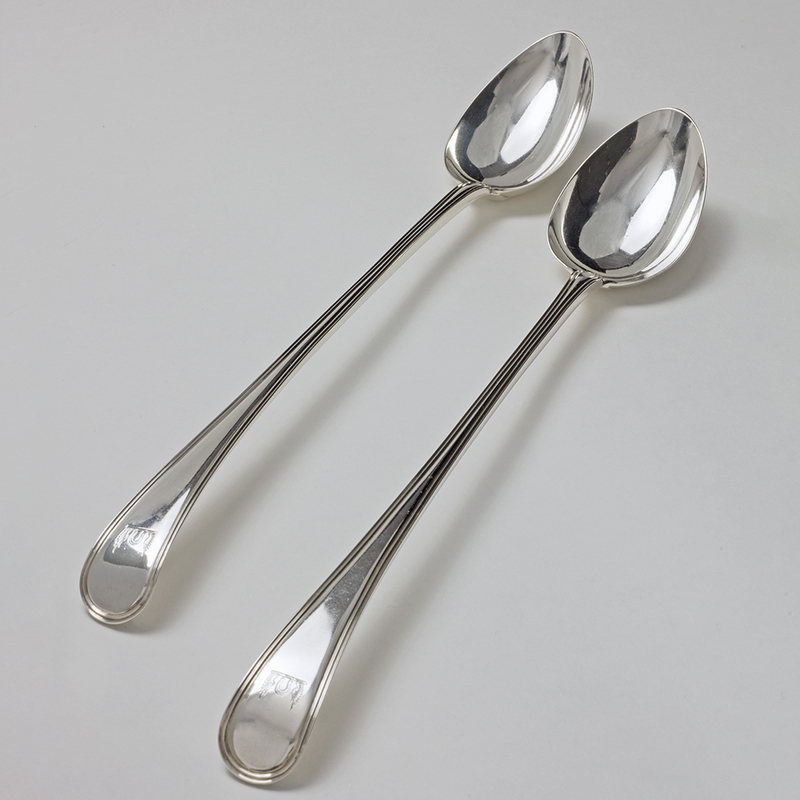 A pair of unusually long George III silver Serving Spoons. 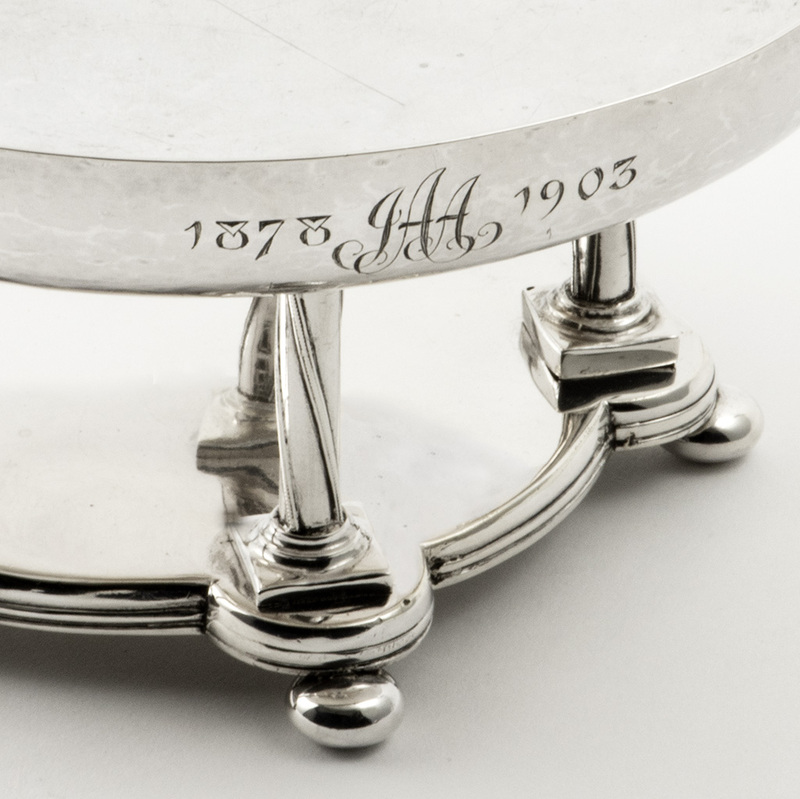 Send Enquiry for A pair of unusually long George III silver Serving Spoons. 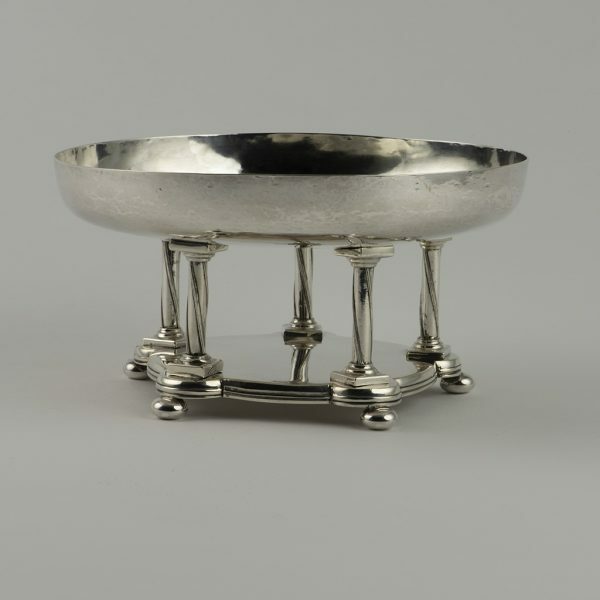 An arts and crafts silver Condiment Set. 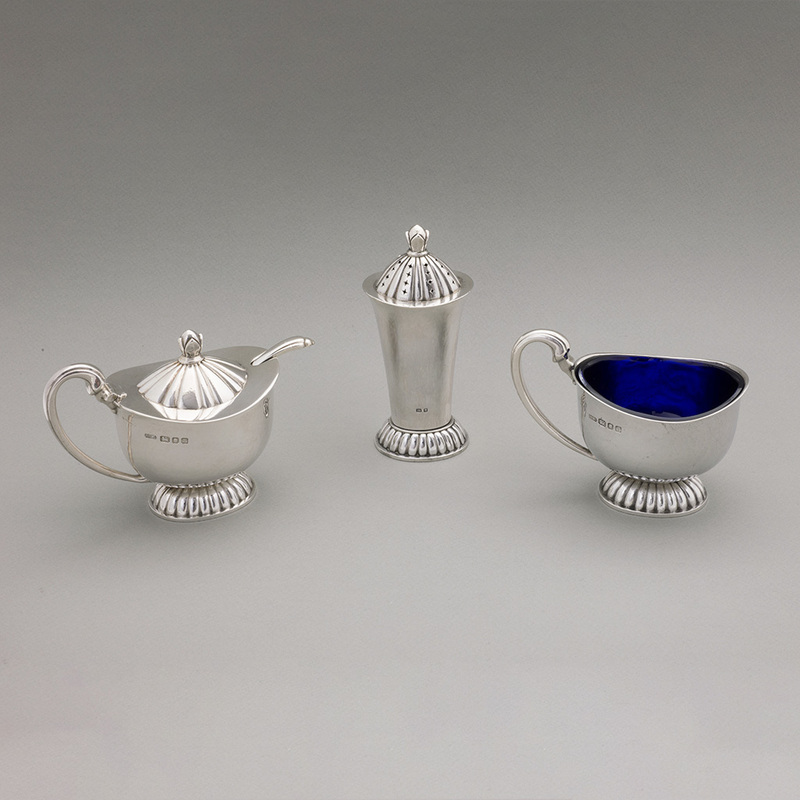 Send Enquiry for An arts and crafts silver Condiment Set. 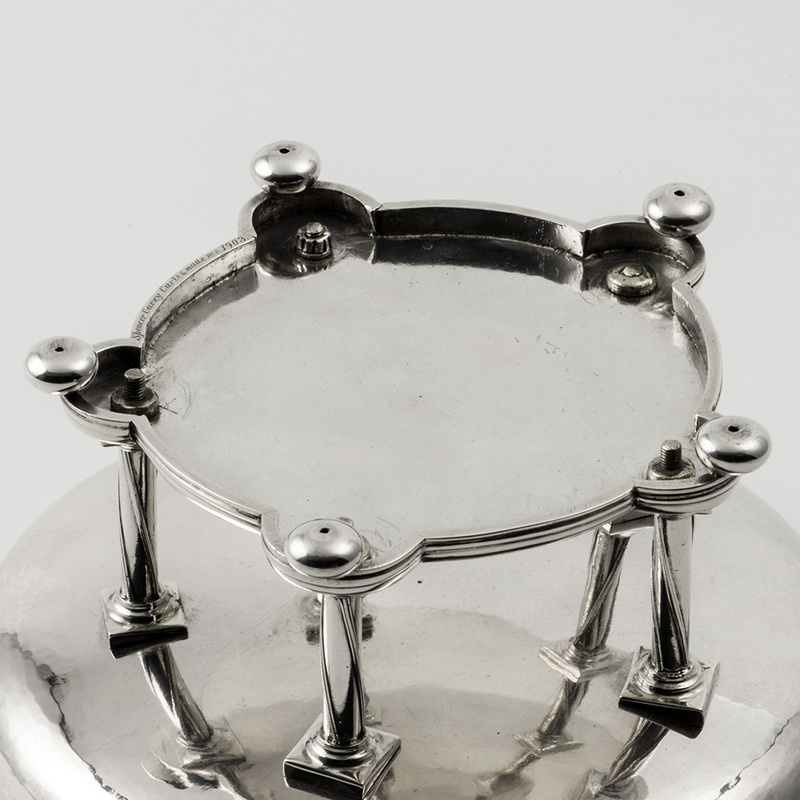 A Victorian novelty silver Pepper Grinder in the form of a Milk Churn. 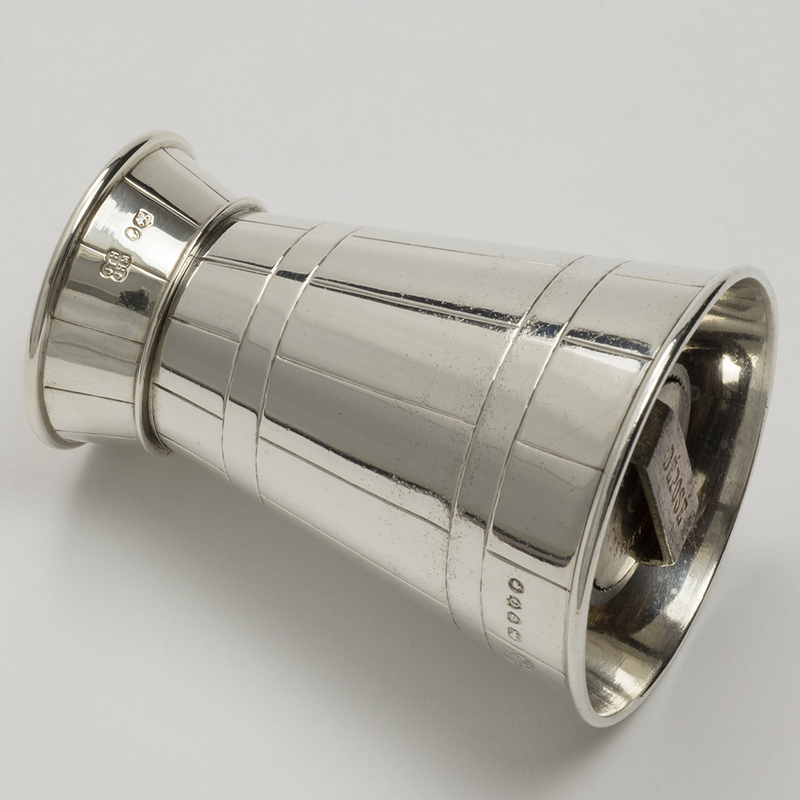 Send Enquiry for A Victorian novelty silver Pepper Grinder in the form of a Milk Churn. 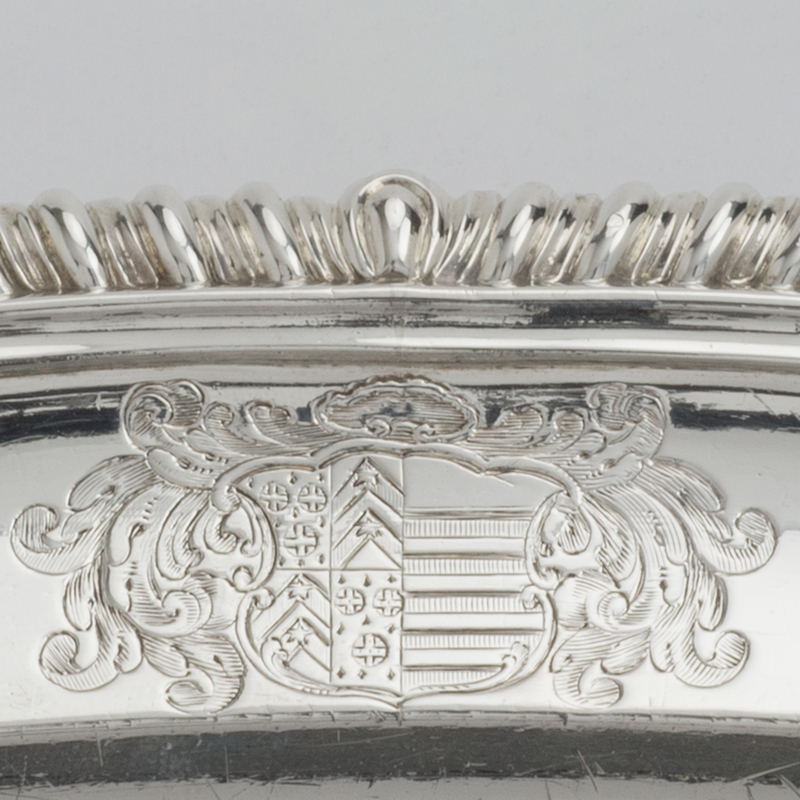 previous post: An 18th century silver Tablespoon from the Guildhall, Westminster. 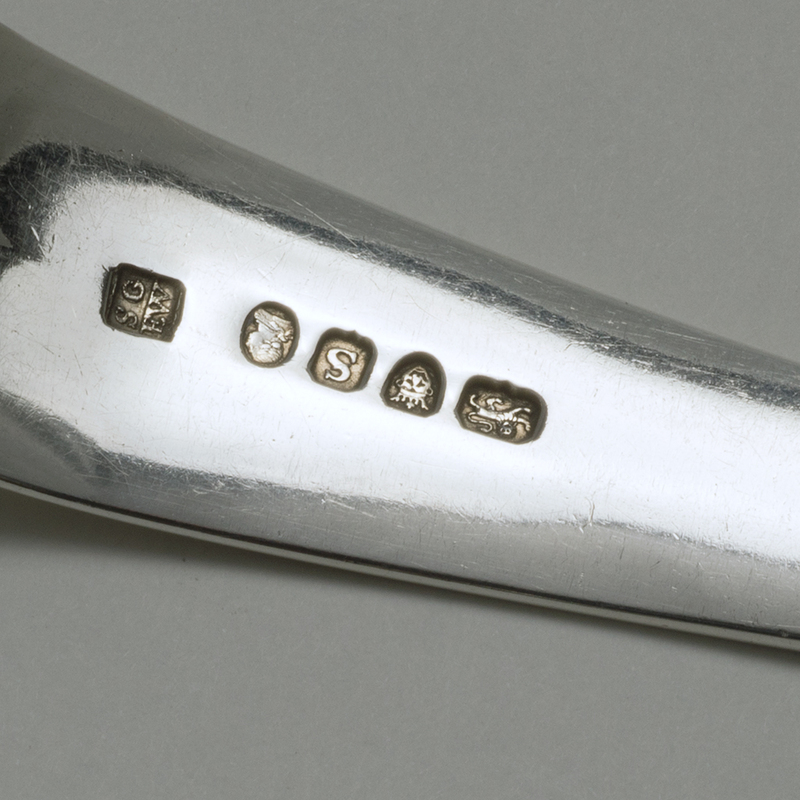 next post: A pair of Victorian silver Salad Servers in an unrecorded pattern.